This post aims to collate all relevant news and information about the upcoming 2018 flagship Android phablet of Samsung Mobile, which is already being called by tech experts and bloggers as the Samsung Galaxy Note9. Trust that TechPinas will update this entry every time we get fresh updates about this powerhouse, stylus-toting smartphone. Update as of August 10, 2018: Samsung Galaxy Note9 has just been officially introduced by the Korean company. The 2018 flagship phablet will be formally released globally on August 24, 2018. Here in the Philippines, the 6GB RAM + 128GB ROM variant will don an official suggested retail price of PHP 55,990 while the 8GB RAM + 512GB ROM version will sell for PHP 75,990, making it the most expensive non-Limited-Edition Galaxy handset to ever be released in our country. Samsung Galaxy Note9 will be the 2018 iteration to the Korean Giant's best-selling top-of-the-line phablet line. The first Galaxy Note model was released in October 2011 and it came with features that have since become the distinguishing marks or characteristics of this popular series, namely, large screen, beastly internal hardware, great imaging capabilities, stellar video recording performance, and of course, the Samsung S-Pen, which remains unrivaled in our current mobile industry. 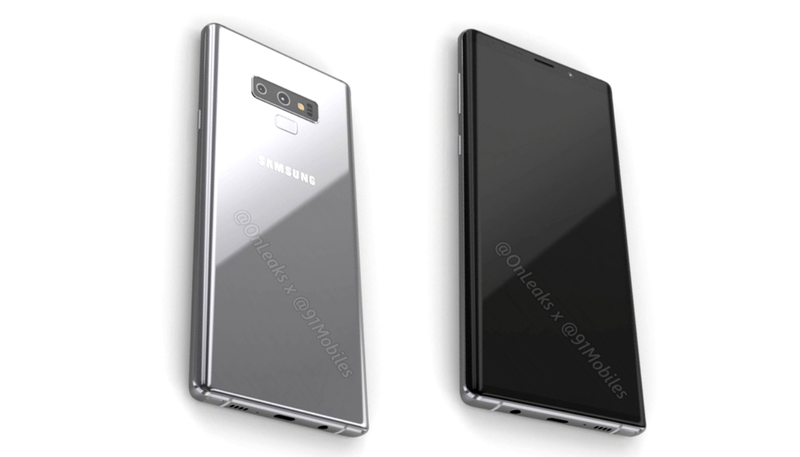 On Thursday - June 7, 2018, Twitter users @OnLeaks and @91Mobiles - which have become a popular gadget-leaker combo - posted 3D renders of what they claim to be the all-new Samsung Galaxy Note9. Earlier this year, the duo posted the renders for the then yet-to-be-announced Samsung Galaxy S9 and S9+. Their images eventually turned out highly accurate or on-point. Given their makers' track record, I'm inclined to believe that these images pretty much show us how the Korean company's next flagship phablet will actually look. Inspecting the photos, it's clear that the Note9 could end up looking a lot like its predecessor, the Samsung Galaxy Note8 (which is one of my daily drivers currently). The two models could very well share the same glass-metal-glass sandwich design identity and perhaps, even a similar footprint. 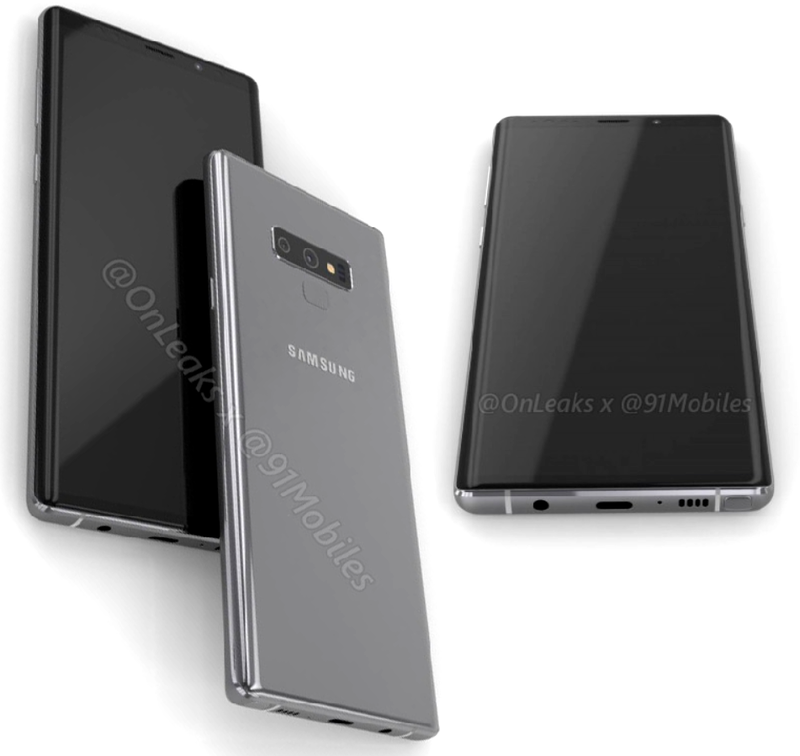 Personally, I believe the Note9 will even have more or less the same Screen Size and Resolution as that of the Note8, which had a 6.3-inch QuadHD+ Infinity Display. In terms of looks, it appears that the biggest difference between the two consecutive models would be the location of the Fingerprint Scanner at the back. Whereas, Note8's sensor is placed just beside the Dual Camera module, the one on the Note9 is positioned below it. Rumors have it that the innards and cameras of the Samsung Galaxy Note9 will be similar to that of the Samsung Galaxy S9+, which was released in the Philippines on March 16, 2018. That said, I'm expecting the SGNote9 to be powered by the beastly Exynos 9810 Octa that incorporates Mali-G72 MP18 GPU and to have 6GB of RAM for ultra-smooth multi-tasking as well as 64GB, 128GB, and 256GB ROM options, which can easily be expanded via the hybrid nanoSIM slot that can also take in a microSD card. As for the cameras, I believe the 2018 phablet will have a Dual Camera set-up made up of a 12 MegaPixels, variable aperture primary shooter with 26mm field of view, 1/2.5" sensor size, 1.4 µm pixel size support, Dual Pixel, Optical Image Stabilization, and Dual Tone LED Flash -- plus a secondary 12 MegaPixel snapper with f/2.4 Aperture, 52mm field of view, 1/3.6" sensor size, 1 µm pixel size support, AutoFocus, and Optical Image Stabilization. Working together, these two sensors enable 2X lossless zoom and Live Focus effect wherein the background of the subject is beautifully blurred. Also, the variable aperture innovation allows the primary shooter to get the best possible shot in a wide range of lighting conditions. For those who love to take selfies, the Note9 could very well have the same 8 MegaPixel f/1.6 front-facing camera of the Galaxy S9+, which is powered by the company's own subtle beautification software. One stellar feature of the S9+ that I'm hoping that the Note9 would also get is the Super Slow-Mo video recorder, which captures HD clips at a whopping 960 frames per second. This is useful for Youtube creators who want to add dramatic shots to their video content. Considering that the Samsung Galaxy S9+ donned an official suggested retail price of Php 52,990 for the 64GB model and Php 55,990 for the 128GB variant, my personal guesstimate for the Samsung Galaxy Note9's base price is around PHP 60,990 -- if and when it launches within August 2018, as some tech sites claim. But hey, that's just my prediction. Like many you, I'm big fan of the Galaxy Note line and I'm also hoping that the new model would have a more affordable price tag.